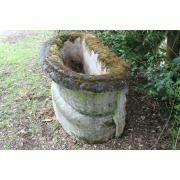 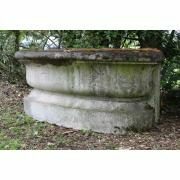 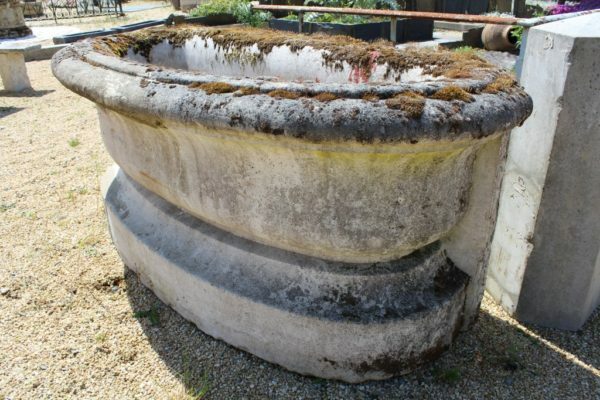 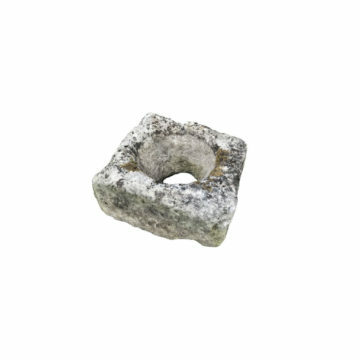 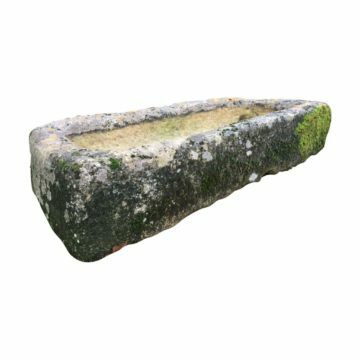 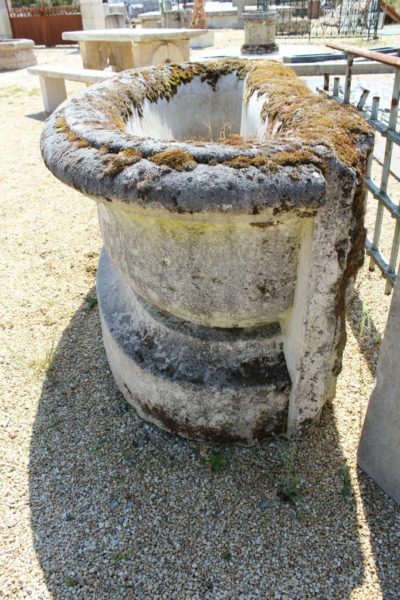 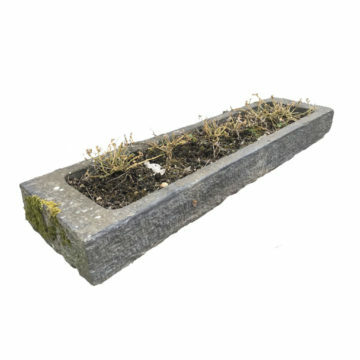 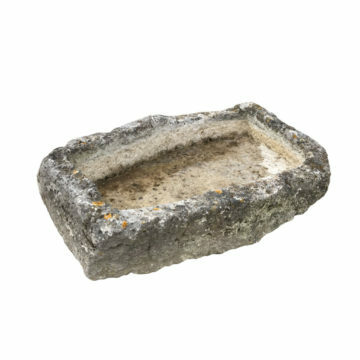 Antique French limestone wall fountain : Exceptional 18th century oval stone pool originally set into a garden wall as a water feature. Provenance along with ref 01513 from a Loire Valley formal garden. 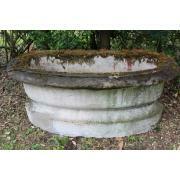 Metric dimensions approx: length 2100mm x 900mm x height 850mm. 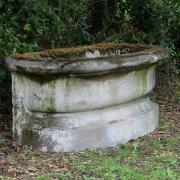 Imperial dimensions approx: length 83 inches x 35.5 inches x height 33.5 inches.